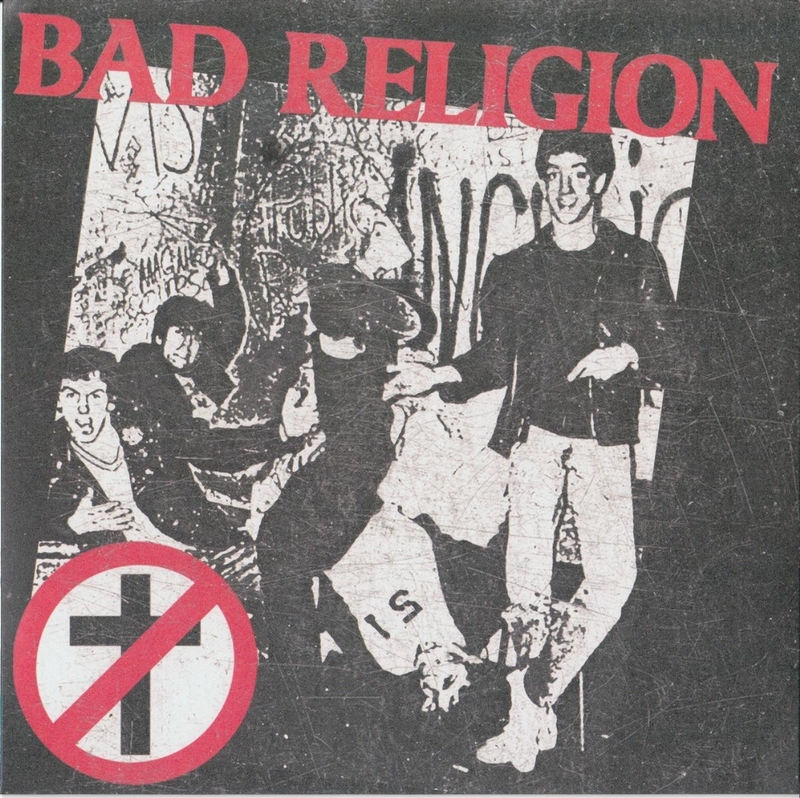 In December 2011 the songs that Bad Religion provided for the 1981 Public Service compilation were rereleased on 7" black vinyl by Smoke 7/Puke 'n Vomit. The release was accompanied by t-shirts, hoodies, patches, buttons and several stickers. 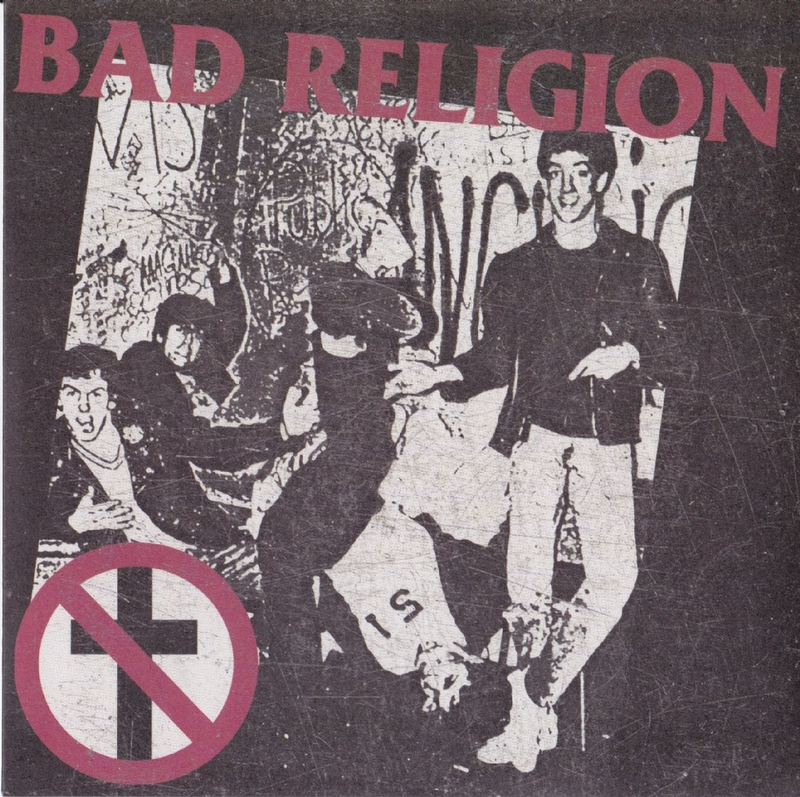 Some very noticeable mistakes were made: the crossbuster logo is mirrored, the Bad Religion font on the front of the sleeve is wrong, the lyrics for Drastic Actions are actually those of Bad Religion and the lyrics for Slaves are completely wrong (most likely copied from a lyrics website without even checking them first). Immediately after we reported about this rerelease (and because of all the mistakes that were made, we labelled it as a "bootleg"), some controversy started about the legitimacy of the release. 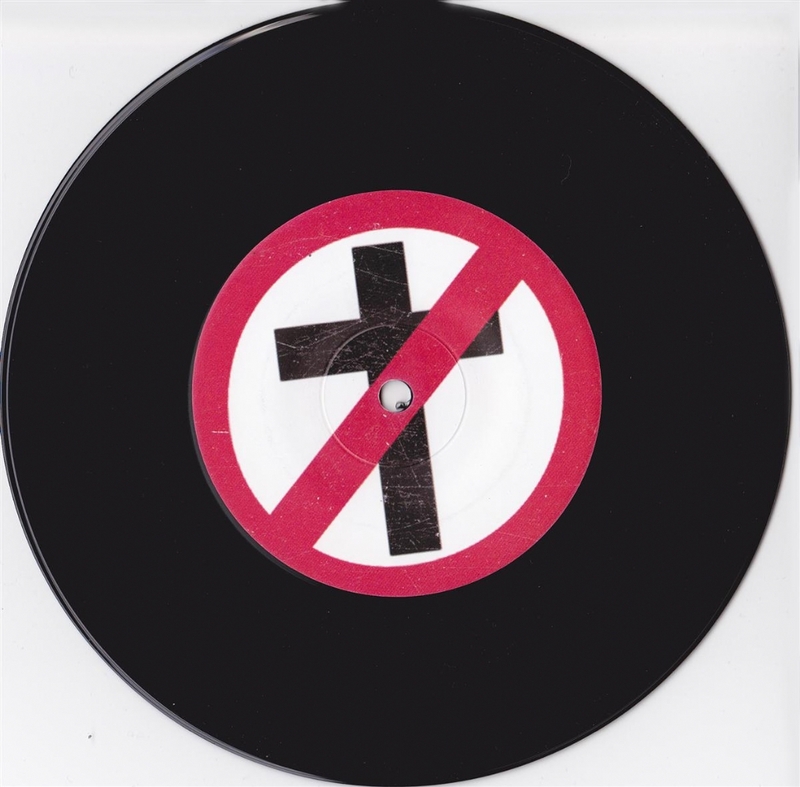 Brett's opinion was that Smoke 7 had no right to sell any merch and that the contract language referring to phonograph records denotes the original Smoke 7 compilation album only (although the crappy merch with the backwards crossbuster pissed him off much more than the sale of a 7" bootleg). A clear red vinyl version was released not much later. The sleeve and vinyl labels for this one are identical to the black vinyl version. However, the lyrics sheet and the crossbuster logo on it were both corrected. The front sleeve itself was still a mess. Now yet another version has been released; this time on clear yellow vinyl (available on eBay; you find it yourself). The sleeve and vinyl labels of this release now also have the right crossbuster logo and the right font.... finally making it 100% correct. 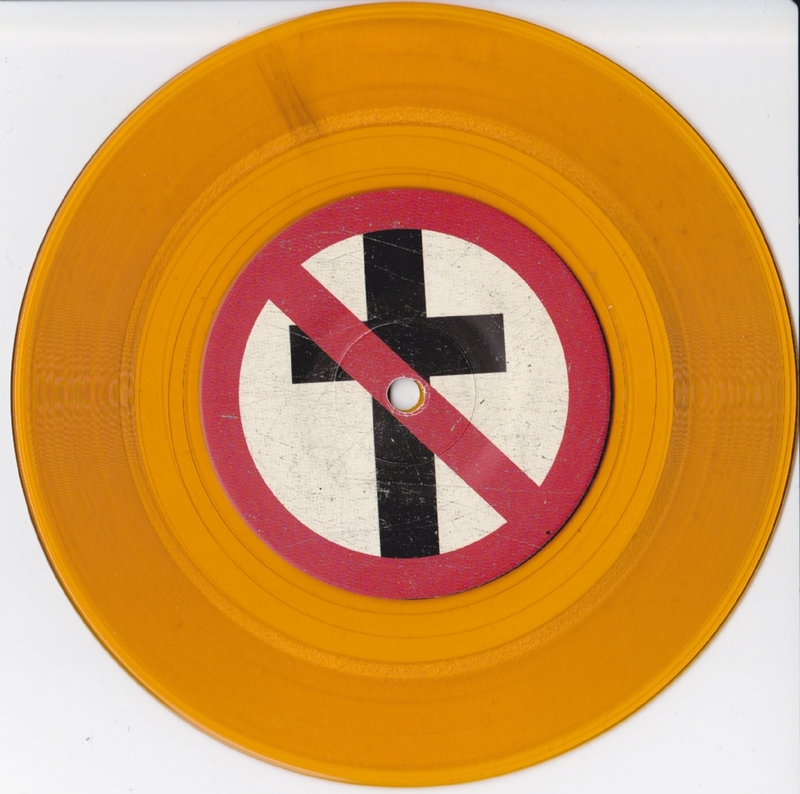 The most interesting part of this release, however, - and basically the reason for this"news" item - is that it comes with a copy of the original contract with Smoke 7 Records; apparently proving this 7" rerelease is legit. Hence the red text "Hey skeptic! Here's your proof." Note that both Greg Graffin and Jay required an adult or guardian to sign because they were still minors in 1981. The aforementioned merch in the Puke 'n Vomit store appears to also have been updated, with the exception of the buttons and stickers. [quote=SOLDSHORT]I'm gonna steal that original contract[/quote]That's what Brett said. [quote=frod79]Not completed on Krusty brand legal forms? Not legit. [/quote]so true. Not completed on Krusty brand legal forms? Not legit.